It is Canada’s 150th Anniversary! 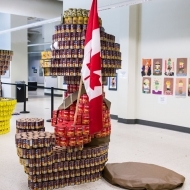 Some of the beloved Canadian symbols are coming together in this sculpture. Welcome to Canada! Here beavers not only build dams and look cute, they also herd cattle. 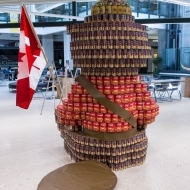 And if that was not enough they are members of the RCMP and help raise awareness to fight hunger. 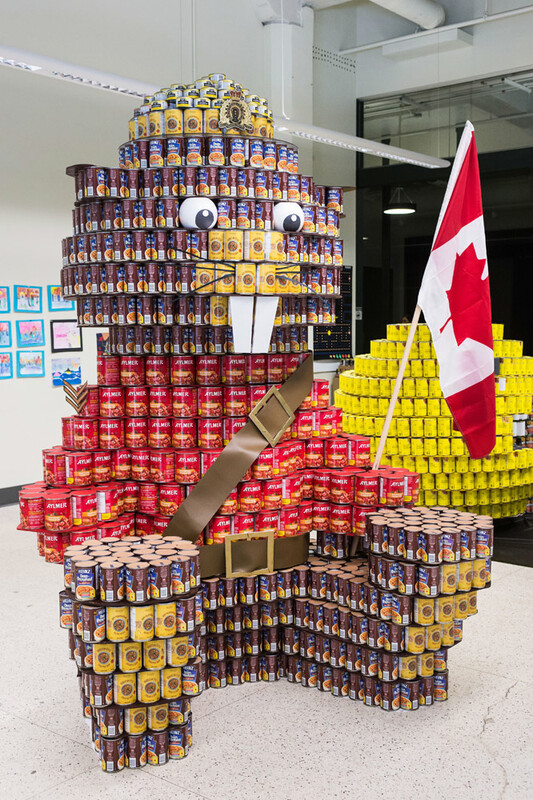 Now, that’s truly Canadian, eh? 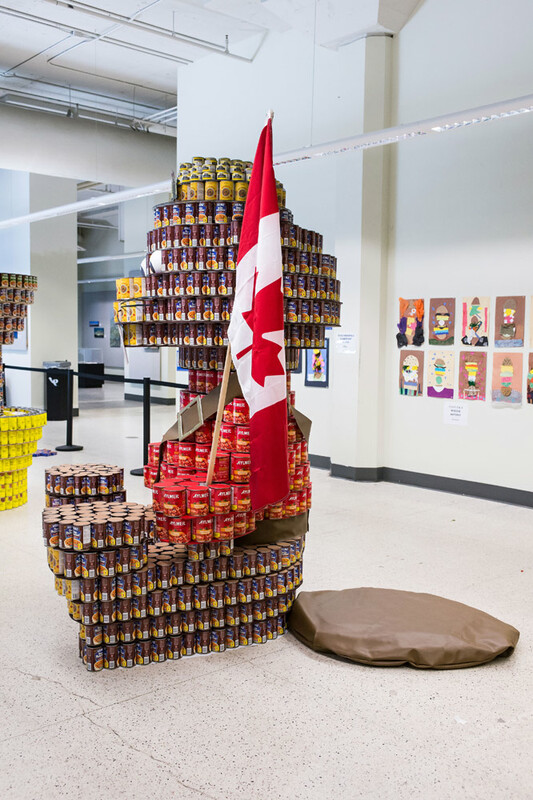 Employees from across EPCOR helped bring this concept of Canada 150th alive by donating cash and cans to build this beavery structure (#BeaveryEPCOR). It represents the heart and enthusiasm of many people coming together to lend a hand to those in need! 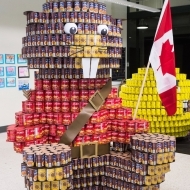 Sorry hunger: Canada says CAN i t ! 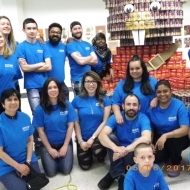 We believe in doing our part to support local food banks, especially as more and more people are experiencing difficulty putting food on the table. Let’s all continue to rally together to help hungry families in our community. 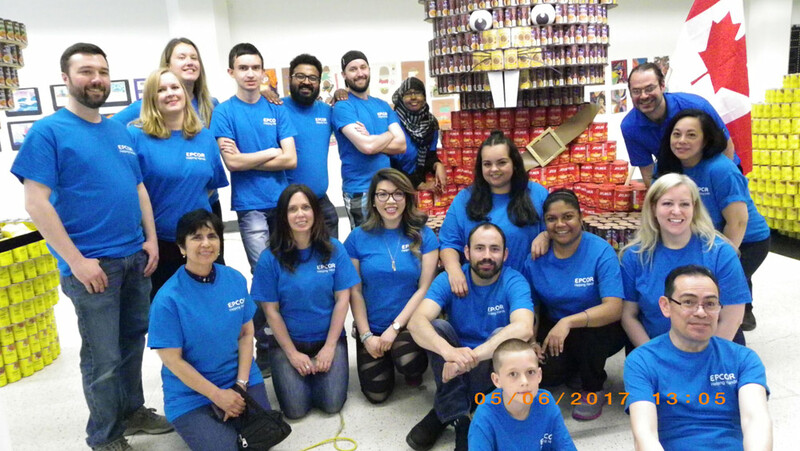 Special Thanks to our other team members: All Canstruction members and GREAT-C in no particular order: Ayan Abdille, Danielle Blackwell, Malonal Das, Guy Forest, Keyra Hawley, Lily Ho, Myles Mix, Blake Moore, Nicole Morales, Denise Rosales, Sharla Shadeo, Navdeep Sahota, Neha Sharma-Prabhakar, Jesse Skwaruk, Kristin Smadella, Daniel Calcines, Jaeden Catt, Kristi Deneiko, Megan Eatock, Lindsey Elliot, Silvana Fazio #RecalProud, Coreen Guerrero, Kate Kirk, Josie Letwin, Sally Maziarz, Colleen Mitchell, Christ Pettican, Alisha Porter, Glenna Rauch, Helen Routh, Gilles Simard, Arlene Smith, Kevin Stone, Stephanie Thorne, Vanessa Volk, Emily Yaceyko, Pamela Zrobek. 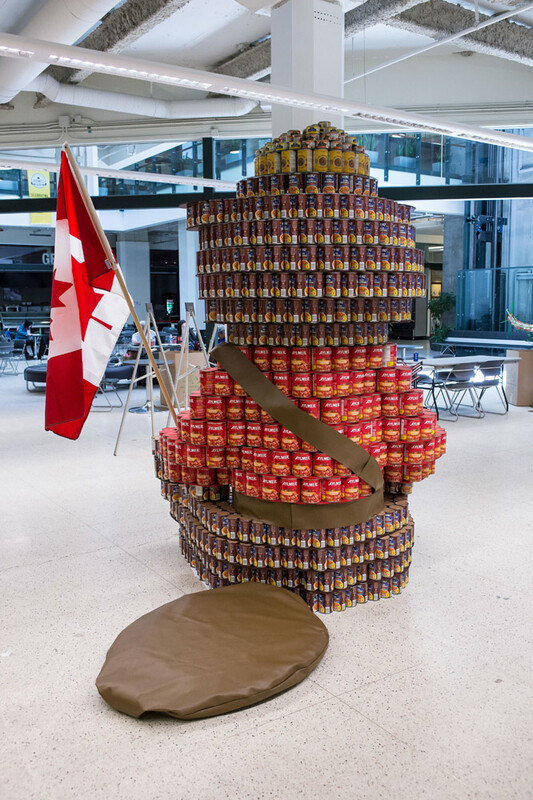 Special Thanks to (supporters):EPCOR Canstruction 2017 was made possible thanks to the generous donations of EPCOR employees; every area, department and site collaborated in making this a success. 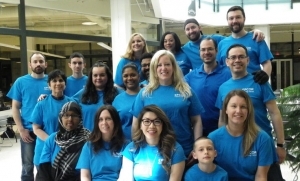 We appreciate EPCOR Management for their support to this initiative. Thank you to AMJ Van Lines and Safeway Guardian Road for your help.